In December 1987, while campaigning for Shiv Sena candidate Ramesh Prabhu, Thackeray had made several hate speeches for which he was later benched for six years by the judiciary and the EC. Mumbai: With all else, including the air strikes against Pakistan, failing, Prime Minister Narendra Modi has decided to communalise the ongoing elections in the country. On April 1, in Wardha, he slammed Congress president Rahul Gandhi for filing his nomination papers from Wayanad in Kerala, which he described as a Hindu minority constituency. Elsewhere, he berated the Congress for describing a section of terrorists in India as ‘saffron terrorists’. So far, the Election Commission’s response has been wanting. This is especially clear to see from how the Shiv Sena, an ally of the BJP in the present election, paid the price for less than this in the 1980s and 1990s when the EC barred Bal Thackeray and his candidate Dr Ramesh Prabhoo from contesting polls for six years. The two were also disenfranchised for the same amount of time. Campaigning for Prabhoo, who had been his physician since the early 1970s, Thackeray had called Muslims names and appealed to Hindus to vote for a fellow Hindu at a by-election for the Maharashtra assembly in December 1987. The BJP, founded in 1980 on Gandhian socialism, was then allied with the Janata Party. For it back then, Thackeray’s rhetoric was too extreme. It was thus a straight battle between the Congress and the Shiv Sena wherein during his campaign, Thackeray referred to Muslims as “snakes” and ‘landyas’. It was not clear which Muslim Thackeray thought would come to the assembly because standing opposite the Sena candidate was the ruling Congress candidate Prabhakar Kunte and Pranlal Vora from the Janata Party. On his part, despite an avowal later of commitment to secularism, Prabhoo had then claimed in an interview to a Gujarati newspaper that if he lost, it would be as though Hinduism had lost. Prabhoo won the by-poll. Soon after, Kunte, the Congress candidate and former freedom fighter who had not taken Thackeray seriously during the campaign, moved the Bombay high court against both Thackeray and Prabhoo for violating the Representation of Peoples Act. “no appeals for votes by a candidate or his agent or by any other person with the consent of a candidate or his election agent to vote or refrain from voting for any person on the ground of his religion, race, caste, community or language”. “promotion of or attempt to promote feelings of enmity between different classes of citizens of India on the grounds of religion, race, caste or community or language by a candidate or an agent or any other person with the consent of the candidate”. Thackeray and Prabhoo, who sat silently on the dais as Thackeray made all those assertions, had clearly violated all those norms. Both appealed to the Supreme Court which took until 1995 to uphold the Bombay high court verdict, unseating Prabhoo and disenfranchising both him and Thackeray. The apex court held Thackeray’s rantings as illegal under Section 123 and also held Prabhoo as guilty for giving his consent to the same. Now, two decades later, Modi has violated all the same laws. In the Thackeray case, it took the Election Commission another couple of years to act on the Supreme Court ruling. But when it finally forwarded a unanimous report to the government – via the law department to the President of India – a full decade after Kunte’s petition in the Bombay high court, Thackeray and Prabhoo stood debarred from contesting or voting. The next time they could do so would have been 2004. The action reflected a strong and independent Election Commission that politicians were afraid of and a Supreme Court that was not afraid to give an unambiguous verdict against the government. Prime Minister Modi has been saying as much as Thackeray and more to polarise and divide Indian society. But so far, the EC of today has not read Modi the RPA act. 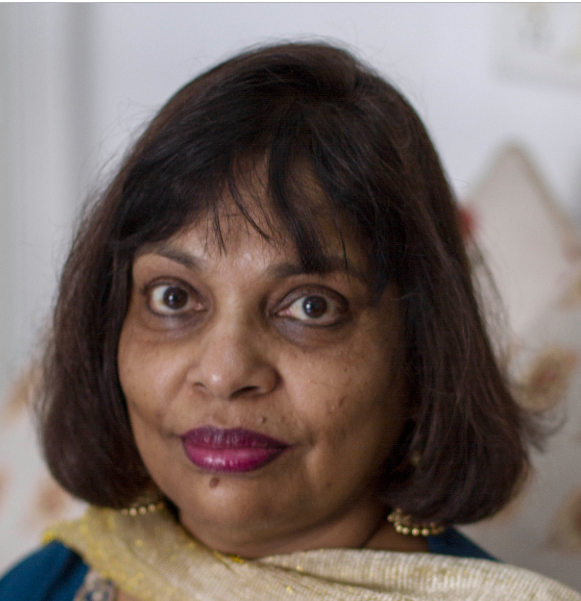 Sujata Anandan is an author and journalist based in Mumbai.